Daryl Johnson, an acknowledged expert in the area of domestic extremism, is the owner of DT Analytics. He has worked as an intelligence analyst for several federal agencies for two decades. For six years, Mr. Johnson was the senior domestic terrorism analyst at the Department of Homeland Security, Office of Intelligence & Analysis (I&A). During his time at DHS, Mr. Johnson wrote numerous sensitive intelligence reports and briefed a wide range of organizations, including Congressional staff; Federal, state and local law enforcement agencies; members of the intelligence community; colleges and universities, and other non-government organizations. He also led a team of analysts responsible for analyzing domestic extremist activity in the United States. Mr. Johnson is the primary author of the politicized DHS report on rightwing extremism, dated April 7, 2009. 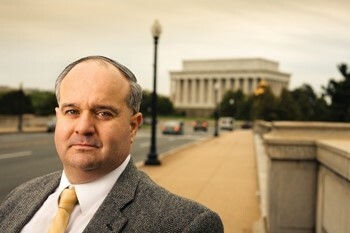 Prior to working at DHS, Mr. Johnson was the subject matter expert on violent antigovernment groups (a designated intelligence program for monitoring the criminal activities and violent acts of rightwing extremists in the U.S.) at the Bureau of Alcohol, Tobacco, Firearms & Explosives (ATF). He provided analytical support during highly sensitive ATF investigations focused on the criminal activities of domestic extremists, including members of the Ku Klux Klan, militia extremists, Christian Identity adherents, neo-Nazis, and Sovereign Citizens. Mr. Johnson served as a part-time instructor at the ATF National Academy in Glynco, Georgia for more than a decade, educating and training newly hired special agents on the subject of domestic terrorism. Mr. Johnson began his Federal career as a counterterrorism analyst for the United States Army. He served as a civilian in the Army for several years specializing in CONUS (a military acronym for Continental United States) force protection issues. This experience provided him with a unique insight into domestic rightwing extremist targeting of military personnel for recruitment as well as the targeting of military installations by domestic terrorists. The thought of creating a small business to monitor domestic extremist activity in the United States was first envisioned in May 2009. At the time, the idea was more of a passing thought – simply put, it was wishful thinking. The whole thing seemed an impossible and overwhelming task. It would take nearly a year for an opportunity to present itself. Ultimately, through unwavering dedication, pure determination and lots of hard work, Daryl Johnson was able to take a fleeting idea, create a vision and eventually turn it into a reality. Mr. Johnson’s raw passion for the subject also provided a strong incentive and the necessary will power needed for the incorporation of DT Analytics. DT Analytics possesses specialized knowledge and experience from having worked domestic extremist issues for U.S. government agencies. We also have access to, and a trusted relationship with, other highly qualified subject matter experts in this field. DT Analytics is a private corporation and, therefore, does not have the same restrictions, limitations and liabilities of a government agency. We believe that DT Analytics will play an important role in countering extremism and provide a valuable contribution to the mission of law enforcement and homeland security professionals nationwide. Identifying potential threats and giving adequate warning of extremist activity will undoubtedly create another layer of defense in the prevention of extremist-inspired criminal activity and against potential acts of domestic terrorism. Daryl seems to be a single-minded sort of guy. He’s always been out to stop those danged domestic terrorists, even before the war on terrorism was officially launched. He is a natural-born Sherlock Holmes hot on the trail of those extremists who so craftily morph into domestic terrorists. And he has shared his peculiar talent with our dearly-beloved government as well as all over the west side of Creation, including at the SPLC and at DHS. But his truest high honor is authorship of that amazing leaked DHS document of April 07, 2009, less than two weeks before Oath Keepers mustered at Lexington Green. Yes. Daryl Johnson is the mastermind behind that masterpiece. He not only admits it, he’s proud of it. “DHS stopped all of our work and instituted restrictive policies,” said Johnson, who has since left the department. “Eventually, they ended up gutting my unit. SPLC’s interview with Daryl Johnson is here. SPLC: Did your report generate controversy inside DHS? DJ: This is how it happened. I got a tasking from the secretary, which demanded a quick turnaround. We went through all the necessary coordination; many people reviewed the draft and made comments. Several people signed off on the report: two supervisors, the Office of General Counsel, multiple editors, etc. The Office of Privacy signed off, and the Office of Policy had no suggestions. The secretary doesn’t oversee agency reports. She couldn’t do it, given the number of agencies generating multiple reports a day. As a result, heads of DHS’ agencies have authority to review work, coordinate with other agencies, approve and disseminate reports. One office raised issues — the Office of Civil Rights and Civil Liberties [CRCL]. At the time, we weren’t required to give them the report, but my boss thought we should run it past them. They had edits, but the main issue related to the definition of right-wing extremism. That office wanted a narrow definition limited to violent groups and individuals. Our subject-matter experts and management felt the definition needed to be broader. Under CRCL’s definition, if you were in the Klan, burned crosses, had a terrorist in your house and donated money to groups advocating violence, you still would not qualify as a right-wing extremist. Our attorneys basically told them, “We appreciate your input, but we are approving the more broad definition.” This ended up being a sore point with CRCL once the document was released. Did Napolitano know about the report? Analysts generally have little interaction with the secretary. I know she was briefed on the report a few days before it went out. The day after it went out, I met with Napolitano to talk about the four questions she had asked. My division director thought we could answer the first three questions, but couldn’t answer the last. So, we gave the last question to the FBI, and they came to the briefing. The report had yet to be leaked. I gave Napolitano a summary of the report and gave her a map of where new militia extremist groups had recently organized. She held the report and nodded her head with agreement as I was talking. It was a cordial meeting. She listened and thanked us all, and she seemed pleased. Any idea who leaked it? The report went to the fusion centers [joint federal, state and local terrorism task forces] and various law enforcement agencies. They, in turn, blasted it out to many more people. It’s virtually impossible to know who leaked it, though I have some hunches. Obviously, the person who leaked the report didn’t agree with it and had a political agenda. What happened after the leak? I got to the office, and there were lots of phone calls. Citizens were angry. People wanted to speak to DHS authorities. I was very distraught. I felt I could talk to my peers, but beyond that, I couldn’t speak for myself. The public affairs office was doing all the PR and media response. We weren’t consulted on anything. If I could have responded, I would have said this is why we wrote this. But the response DHS provided just fueled the public’s speculation. Napolitano initially supported the report. She issued an official press release [on April 14, 2009] that said DHS has the authority to look at all types of threats. And we need to be vigilant. It was very supportive and direct. I don’t know whether her staff advised her to, but she eventually backtracked. The DHS press spokesman came up with this story that it was all unauthorized and orchestrated by a rogue group of analysts. DHS caved in. I felt as if I had been betrayed. I had been the recipient of numerous awards at DHS. Our team was considered to be a very productive team that knew its customers. Our co-workers, field representatives and law enforcement counterparts respected us. Many thought we were doing great work. Napolitano eventually told Congress that DHS was going to remove the report from its websites. Some of the people in the media assumed they were recalling the report. That never happened. There is actually a formal process involved when you want to rescind a report. The only reason you do so is if there was something erroneous in the document. Napolitano also told Congress that DHS was going to pull this report back and refashion it into a much more usable format. It never happened. So Mr. Johnson has had his up days and his down days. I suppose it’s because of the stress and pressure of holding such an important position of power over the behavior of the American people. It’s bound to be an emotional roller-coaster ride to juggle career advancement in a field where one must literally create an excuse for his department to exist. It’s the sort of daily angst which naturally causes Mr. Johnson to think that anyone with a Ron Paul bumper sticker is a potential anti-government terrorist. Now we’re gaining a pretty good insight into the character and personality of Daryl Johnson, author of the pathological frenzy of zealous paranoia marked by an enthusiastic fabrication of imaginative insanity which lo this past decade we have seen blooming on steroids in the visage of the April 07, 2009, DHS report which shut down DHS’ non-Islamic domestic counter-terrorism unit. We are looking at a Feducated exegete suffering from Govlish impaction who has swallowed every fantasy his sugar-bloated blood chemistry could conjure from a necessarily perverted childhood fantasy and projected it upon the American people, the mass of whom constitutes in his perception his very own personal battleground. Our minds are his playground as he would play life and death games with our lives. He leverages, to the best of his ability, the most powerful government agency in America and its partner private-sector think tanks to convince you that I am a terrorist for demanding the Federal government abide by its own founding legal charter. The Oath Keepers portrays itself as an innocent, civic-minded organization catering to current and former members of the military and law enforcement. Their name is taken from the “Oath of Office” that each of them took as public servants. They are not terrorists. And, contrary to popular belief, they are not a militia group. The Oath Keepers organization is, however, a domestic extremist group that embraces antigovernment conspiracy theories such as FEMA detention camps and the New World Order. They are not a traditional threat such as organized crime, violent gangs or terrorist groups. Rather, they represent an internal operational security and counterintelligence threat. The Oath Keepers’ mission is solely about subverting the U.S. Government through secretive infiltration, covert monitoring of law enforcement, military and intelligence communications and, if necessary, unauthorized disclosure of sensitive information to their membership, affiliated groups and the general public. This makes the organization and its membership a particularly dangerous (and peculiar) type of domestic threat. There is a little arrow-button under that paragraph which, when clicked, breaks the entire statement into two paragraphs. That little mind game would likely have to do with rewarding intuitive readers at his site with his pronouncement of the bottom line on why Oath Keepers is such an exotic threat to the government. It’s like a little insider game. One sees the acknowledgement of Oath Keepers as “conspiracy theorists” in the first paragraph, and one is given the analysis of the acknowledged threat in the second paragraph. It’s like fifth-grader stuff in the guise of psy-war cloak-and-dagger fantasy for older children grown big as men. It is a sign of the hollow in Daryl Johnson’s soul. Daryl Johnson makes me feel very significant. When I was (for six years) a grassroots volunteer officer in Oath Keepers I was just thrilled to know that this man has spread that kind of unfounded consciousness in such high places as DHS, the Justice Department (FBI), and even to private sector think tanks like SPLC, all of whom work together to make sure there is some “object” in their so-called “war on terror”. DHS was happy to praise this man before his handiwork got itself leaked back in 2009. This guy can manufacture enemies and institute entire training courses for our Peace Officers and, now, even our soldiers who will be deployed on peace-keeping missions on U.S. soil under any “emergency” any sitting President declares to exist. The widely perceived direct external threat was kicked off as a psy-op on September 11, 2001 with a shock-and-awe attack on New York City’s World Trade Center and the Pentagon at WDC. As Govlish perspective would have it, “they” came over “here” and hit us because they envy our lifestyle of freedom and prosperity, and now “they” are recruiting domestic extremists to become the new face of the Enemy in the so-called war on terror. From that single event has grown the complete assumption of power by the Executive branch and an accompanying mechanism, with governmental and private sector infrastructure all interfaced and arranged in a formidable fusion of all enforcement power in America, upheld by the Govlish courts and seldom ever questioned by the members of specialized, militarized, authorized SWAT teams who will today dutifully do things which Americans in the past would have never tolerated on U.S. soil, like kicking in Jose Guerena’s door and shooting 71 bullets at him, killing him violently in a military style assault on his private home, over a weed which grows wild in Nature. An object of the war on terror is to assure the public that there is a terrorist behind every tree, boulder, and barn across America, just lurking and waiting to strike down the all-powerful peerlessly-hegemonic U.S. government. Right now, in the northwest mountain States, the FBI is on a public relations / advertising campaign for budget increases to swell the number of agents assigned to the Salt Lake City regional FBI office, and they’re using the newest gov-meme profusely in newspapers to prep the public mind to support it. What is the newest threat which FBI promises us is lurking behind every rock, tree, and barn in Montana and Wyoming? Why, it’s those danged sovereign citizens of course. One word about that – there is no such thing as a “sovereign citizen”. If one is a sovereign, one cannot by definition be a “citizen”. That is what rubs excruciatingly the tortured minds of those who set the policy for the FBI, the Justice Department, and Homeland Security. The reason the Fedgov is using this new little flake of Govlish is simple – the Patriot movement in America is rife with people who are awakening to the Constitution’s long-forsaken blessings, which include the document’s use of the word sovereignty. And for God’s sake, the Constitution and even the Supreme Court suggest that the several nation-State Republics which constitute the Union are themselves “sovereign” in their own rights. No totalitarian government can permit the concept of sovereignty to run amok among its citizenry, and the Federal government itself presently is challenging in every way the sovereignty of the States which own it. The Federal government tells Montana that it doesn’t give a flip about Montana’s Firearms Freedom Act of 2009 – the ATF has written the letters to remind all Montanans that Federal law trumps Montana law. The Federal government also tells Montana that Montana’s medical marijuana laws are null and void in Federal eyes, as their amazing spree of growing-facility raids this past April, 2011, across the State clearly show. The Federal government now thinks it owns the States which created it. And I, a simple old man from down South who moved to Montana to escape just that very kind of pathological mentality emanating from concentrated governmental power at Memphis and Atlanta, am now credited by Daryl Johnson with being able to subvert the U.S. Government by secretly infiltrating, covertly monitoring law enforcement and military and Intelligence communications, as well as being able to disclose unauthorized sensitive information to all readers on the Internet – therefore I, an honorably-discharged U.S. Marine Veteran of the Vietnam war, ex-businessman, grandfather, artist and activist with little more than a high-school diploma about which to brag, am a particularly dangerous type of domestic threat. All because I expect the damned-by-God Federal government to live and operate within its enumerated powers under Article 1 Section 8 of the document which created the U.S. Federal Government. I began this series of articles with a premise that the force which killed Jose Guerena at his home on May 05, 2011, emanated from Federal policy. Oath Keepers stood against that policy by conducting a muster and march at Tucson, Arizona, on May 30, 2011. Oath Keepers marched to the Guerena home where Jose was shot to death and honored Jose’s service with the U.S. Marines in two tours of duty in Iraq. We presented Vanessa Guerena with a plaque and roses and other tokens of our appreciation for her husband’s service to America. We really did not give a damn if Jose’s brother smoked pot. We were there on Memorial Day to honor Jose’s service to America in uniform and to lament the loss of two small boys’ father and a young wife’s husband – but also we were there to raise a public outcry against the POLICY which sent a militarized combat unit to kill the man as if he were some “enemy” right here on U.S. soil. A word aside about the autopsy of Jose Guerena. Being an old beatnik and an unemployed old poet, I can recall that I went to college in the 1960s and I also went to Vietnam in the 1960s. I know a couple of things about marijuana. This we all learned way back in the 1960s – if one is going to apply for a new job which would require a drug-screen test, one knew – everyone knew – that one could not smoke pot for at least a month (and preferably, to be sure, up to six weeks) prior to taking the drug-screen test. Why? Because it takes a month or more for the THC imbibed by smoking pot to leave one’s physical body. The drug screen would show positive if one smoked marijuana two, three, or even four weeks before taking the test. I mention this because despite all the talk tossed about by the Sheriff Department of Pima County, Jose’s autopsy revealed no marijuana or THC residue in Jose’s body. I also mention that because the mainstream media seems to overlook that tiny little detail, and it should get placed on the record somewhere, if only here at Oath Keepers. We know that the man had not been smoking pot, as the coroner’s report reveals. Vanessa Guerena has initiated a law suit. Many Americans resented Oath Keepers making a stand against this insane policy of using SWAT for every-day police work. SWAT usage is now rampaging to the tune of between fifty thousand and seventy thousand home invasions each year in America. Many Americans felt that Jose Guerena was a “dirt bag”, that he may have been involved in – Oh My God! – Marijuana! Many people felt that Oath Keepers would tarnish our good reputation by defending Jose. But what those nay-criers failed to realize, despite the fact that we stated it again and again before marching there, was the fact that we were intent upon exposing this insane policy of using SWAT professionals to serve routine warrants and the now-undeniable fact that America is turning into a damned-by-God military-police state in the name of a so-called “war on drugs” and a so-called “war on terror”, both of which are bogus shams created by the likes of Daryl Johnson and his pathologically-branded ilk. The idiocy which emanates from the deluded paranoid perversions of reality which are fragmented and carried in minds such as Daryl Johnson’s has been seen by government as a sure-fire way to expand police power, to grow centralized government, to create government jobs and bureaucracies, and to feed the military-industrial complex while at the same time feeding the out-sourced corporatized private-sector commercialized prison industry. The policy which murdered Jose Guerena most surely came down the pike from the idiocy of the Department of Homeland Security and a generally-wide-spread disavowal of everything this nation’s Constitution stands for. Daryl Johnson wants the credit for that. So I will now attempt to wrap this up, being grateful all the while for each reader’s patience. A pathological personality with political connections can, as we now see, poison the perception of biased individuals who are too weak to ignore a promise of profits or benefits, or other rewards toward personal enhancement, and can actually influence organizations such as SPLC and agencies like DHS or the Pentagon to buy their fantasy. People like Mark Potok of SPLC and Daryl Johnson formerly of DHS can do this, simply because the growth of government needs such facilitation for its ever-hungering expansion into the lives of the subject-citizenry. The arms industry, the law enforcement industry, the prison industry, the Defense Contracting Industry, in fact the entire government industry, can continue to demand more and more growth and expansion only if there is a publicly-held perception of a need for more. When the people of America finally lost control of their representative government in 1913, the loosed mechanism of government began its ascension. At that same time, the Federal Reserve System began the downfall of the Dollar. President Wilson was suckered by Edward M. House to launch the idea of Progressivism during his years in the White House. That was accented over again in the administration of President Franklin D. Roosevelt, and an exclamation point was added by President Lyndon B. Johnson – after which the neo-con faction began to emerge with influence of its own in WDC, leading to the travesties of the past four administrations, Bush-41, Bill Clinton, Bush-43, and Obama – all of whom advanced the United Nations’ agenda and sacrificed U.S.A. sovereignty incrementally while at the same time beefing up domestic policy by levering government programs of entitlement and hammering down the Constitution with an insane war on drugs, which was a gold mine for black ops and psy-ops and the “Black Budget” created in the 1949 revisions of the National Security Act of 1947. All of the above requires funding and enforcement. The 16th Amendment, which came with the Federal Reserve System Act of 1913 as a bonus for the bankers in that it placed the American taxpayer, which it created at that time, as the collateral for the debt which the Fed would engineer for politicians who could not fund their entitlement programs and other activities any other way, created the IRS, which now has SWAT professionals to enforce its robbery. This is of course corporatized socialism with a touch of fascism thrown in for good measure. We suffer today the effects of such causes planted a hundred years ago, and it is evident that in the eyes of the Federal government the Constitution is just a worn-out old piece of paper (some statist Presidents have called it much worse). That is what is behind the policy driving DHS, just as it is revealed in the two leaked documents from 2009 which we studied in Part Four of this article. Edward House and friends from the Rhodes Round Table groups created the CFR and later the Trilateral Commission. They took control of the major media and press in America since 1921 and also created and funded the National Education Association (NEA) and the American Historical Society, among other institutions, through their great tax-exempt Foundations. We now look back on the twentieth century and clearly see Federal policy poisoned by a mixture of a Freudian/Marxian/Darwinian philosophy in a Wall Street cocktail capable of juxtaposing in concert both communism and monopoly-capitalism for the advantage of international banking interests. It is now fully surfaced in America. The American people are only now beginning to awaken to the insidious methodology worked in secret over the past nine to ten decades. As Cass Sunstein has shown, in Part Four, the Federal government has to combat “conspiracy theorists” who would dare expose this massive drive to enslave the unwitting American people. The U.S. Intelligence community has agencies and offices devoted to influencing what the mass mind of America perceives, and now is hell-bent on keeping track of any individual mind which may question its motives. The promises we’re often given state that psy-ops will never be used on the American public. Those promises are exposed for the lies that they are, and a significant number of Americans, perhaps several million or more, have grave doubts about any official government statement or action or policy. That awakening represents a dire threat to the powers that be on Wall Street and at the Federal Reserve and also in our nation’s Congress and Cabinet-level agencies and departments. Showing that the militarization of our peace officer community has been a deliberate program originating at the Federal level was not so hard to do. Am I right? Answer that question for yourself, as you see it in your own understanding and perception. That program is designed to render a martial-law sort of military-police state which can be brought to bear against dissenting patriots who are now becoming ready to fight for their Constitution. The government calls it’s defensive stance, “COG”, (Continuity of Government), which government values higher than the continuity of your and my bill of rights under your and my Constitution. Nothing else can so completely explain why Daryl Johnson, the ADL, the SPLC, the White House, and the Department of Homeland Security would so viciously attack a young organization comprised of Veterans, FireFighters, Soldiers, and Peace Officers who understand the principles of personal freedom enshrined in the wording and spirit of the Constitution and who will renew their Oath to defend that Constitution where they stand, as American patriots in the highest and most noble sense of that word. In August 2011, Vanessa Guerena sued the county, claiming the SWAT team acted negligently throughout the whole process, from procurement of the search warrant until after the shooting, when paramedics were prevented from tending to her bleeding husband. Her lawsuit was settled in September 2013. How is it that a county can admit wrongdoing — to the tune of $3,400,000 — but manages to retain all parties involved? Why was no one fired? What policy changes have been made to prevent others from being killed in the name of keeping plants off the streets? “What worries me is the fact that our country is under attack from within, from our own Feducated trance-state robotized Govlish-mesmerized fanatical insatiately-hypnotized authoritarian statist idiots sporting power-damaged minds who somehow find their way into seats of governmental power, and the rest seem to be in denial about that glaring fact, thinking foolishly but persistently that a Republican or Democrat, like a giant winged god robed in justice, peace, and prosperity, will plug back in the tv stories of our ways and days, and shall in providence by God save the day.” – Elias Alias, to no one in particular. New Album “Immortalized” Out Now!